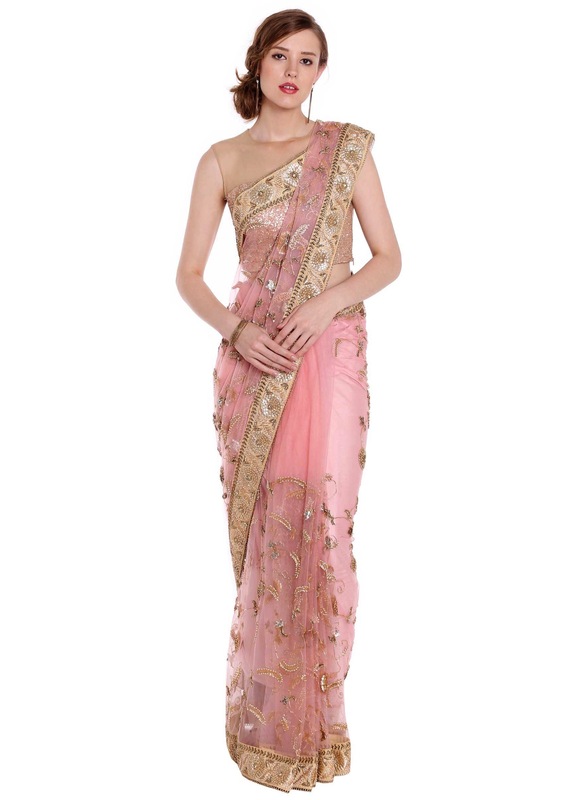 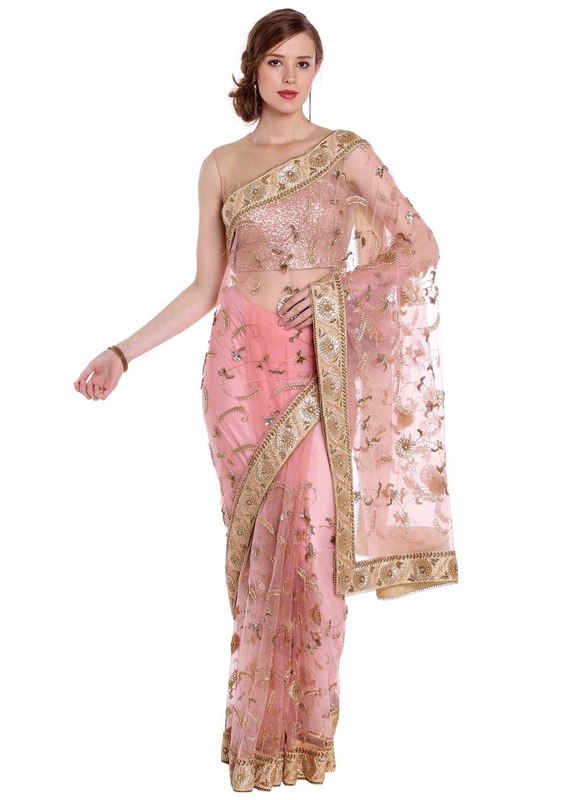 Net saree features in blush pink. 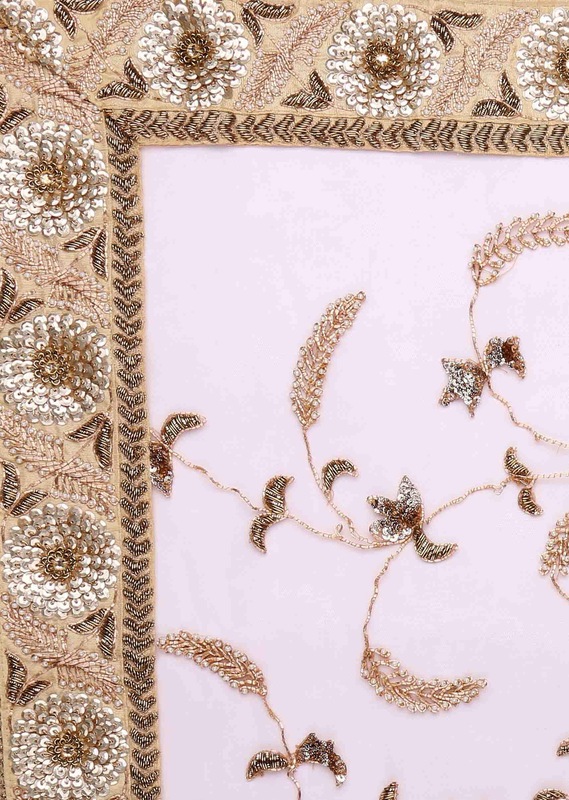 Adorn in sequin and zari embroidery all over in jaal motif along with border. 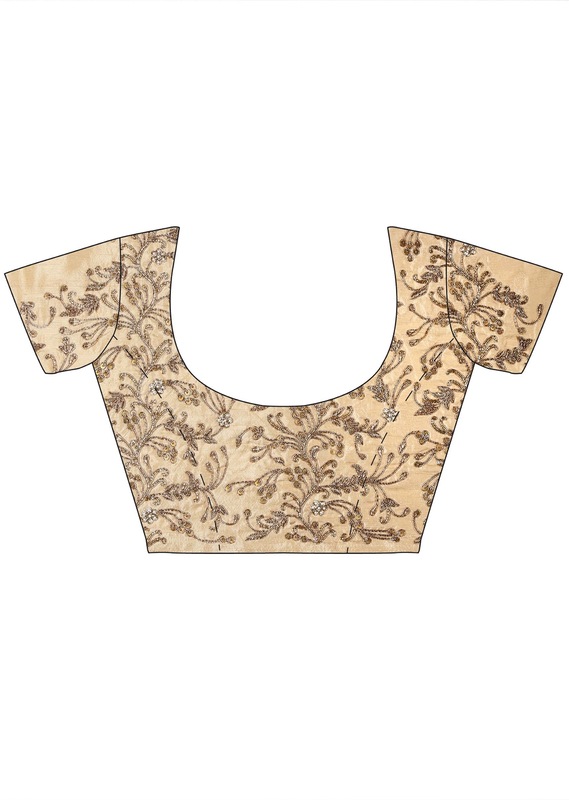 Matched with unstitched blouse in beige raw silk.